James Mahler, DVM, has practiced veterinary medicine as the owner of Bay Animal Clinic for over thirty years. Dr. Mahler’s education includes a Bachelor of Science from Wayland Baptist College (now Wayland Baptist University) and a Master of Science in molecular biology from West Texas State University (now Texas A&M Western Campus). He pursued further post-graduate work in molecular genetics/biochemistry at the University of Tennessee, and worked as a researcher at Oak Ridge National Laboratory in the chemical carcinogenesis division before earning the Doctor of Veterinary Medicine degree from the University of Tennessee in 1981. Dr. Mahler was hired as associate veterinarian at Bay Animal Clinic in July, 1981, assuming ownership of the veterinary practice in January of 1982. ​Blake Landreneau, Senior Veterinary Technician at Bay Animal Clinic, began his pet-care career at Chateau Veterinary Hospital in his hometown, Kenner, Louisiana. After a stint in the Army, Blake joined our staff in the spring of 2012. Blake has been married to his wife, Emily, for 10 years. 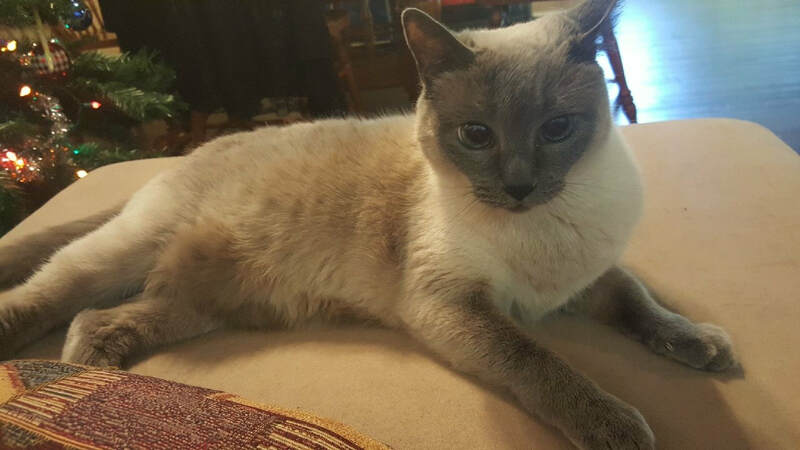 They share their home with a Siamese-type cat named Dixie, a Russian Blue-type cat named Smokey, and Honey, a senior dog adopted from the Hancock County Animal Shelter. Arielle Lusich, a native of Hancock County, graduated from Miller-Motte Technical College with a degree in medical assisting. When not at work, she enjoys family time, cooking, and working on do-it-yourself projects. Arielle and her family have 9 cats and 3 dogs.